Oh boy oh boy, after a week like that, it is very clear that the football gods are smiling upon us right now. 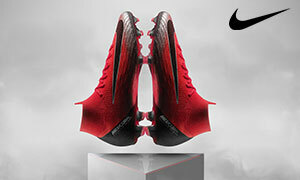 With two rounds on EPL action in one week, the dropping of some gorgeous boot colourways and Nike gearing up for the launch of their next big boot, Christmas has come early for boot fans this year! While I am also hoping Santa eases the threat of relegation for Norwich City, putting together another boot spotting is the least I can do to show I have been a good boy! 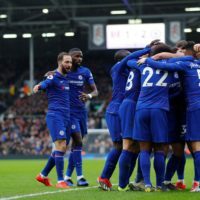 So as usual, we have thrown together the boot world’s best spots from this week’s football action. Check out what caught our eye this week. From the word go, Warrior Sports have shown off some of the, ahem, ‘boldest’ boot colourways on the market in an effort to make sure they are seen in the boot world. So we were fairly surprised with the apparent change of heart by Warrior when it came to their new Skreamer and Gambler colourways, and I know that my colleague Andrew has fallen in love with the later colourway. 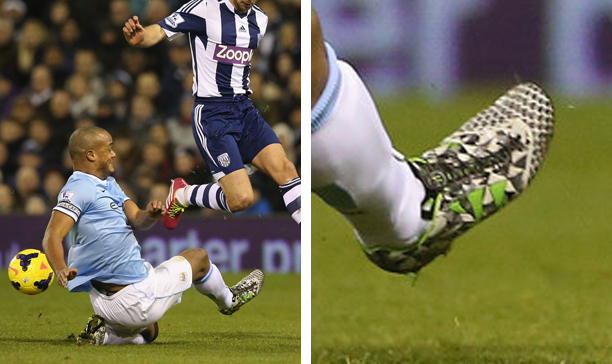 The Skreamer looks good on the pitch too, with head Skreamer endorser Vincent Kompany showing off the boot during Manchester City’s midweek fixture against West Brom. Boot fans are generally accepting of most football boots, but could Sidnei Sciola Moraes be a boot nerd dedicated to the Puma evoSPEED? 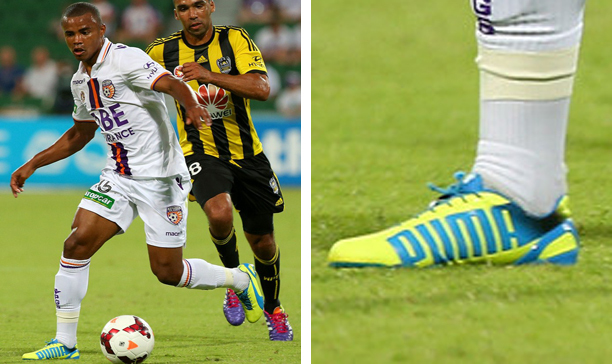 The Perth Glory forward has been sporting the rarely seen Silver/Green/Violet Puma evoSPEED 1 colourway for the past few weeks, but he has since made a move to the just as rare Yellow/Blue/Poseidon evoSPEED 1.2. 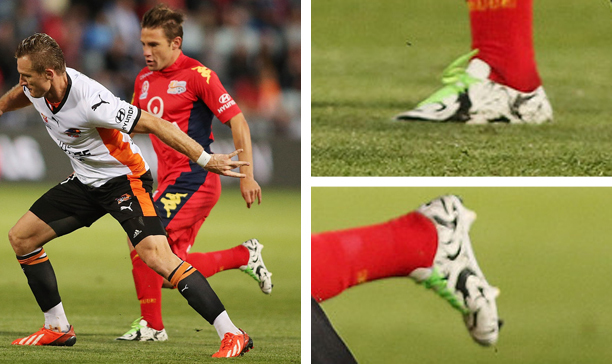 Moraes is actually the first player seen in the new boot, but it is interesting that Moraes has bounced from one rare colourway to another. I will be honest, I love my boots jam-packed with technology as much as the next guy. 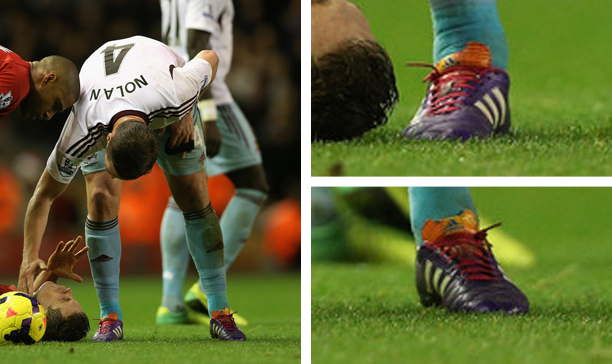 But sometimes, it is good to see the good old traditional boots that paved the way for these modern boots to be spotted on the pitch. 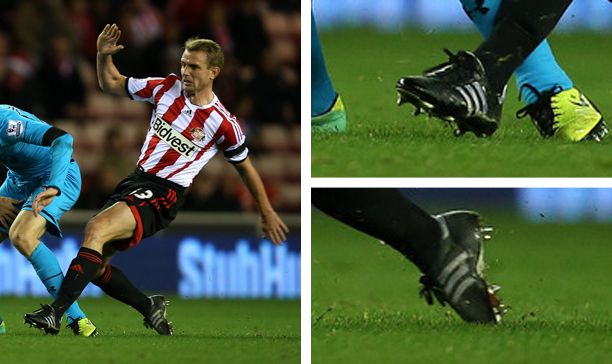 While Lee Cattermole has been rocking the adidas Nitrocharge 1.0 for this season, he took it old school this week and brought out the adidas World Cup, being the only outfield player besides Jonathan Walters in bringing out one of the boots from adidas’ ‘classic’ range of boots. 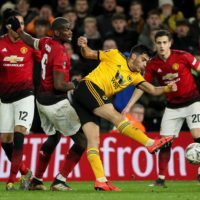 Without being disrespectful to Cattermole and Walters, we could not imagine a young go-getter like Januzaj or Townsend wearing the Copa or World Cup, it is fitting that players like Cattermole and Walters are wearing them! 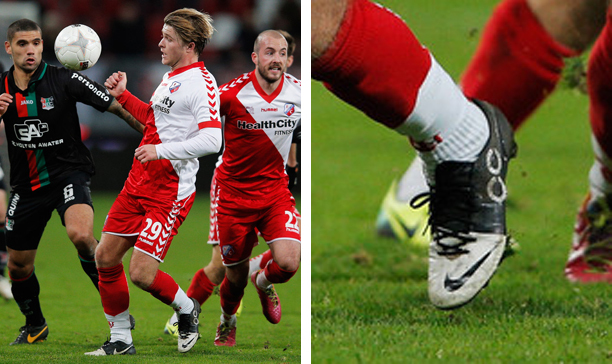 Wojeich Szcezesny, Nike are not going to be overly pleased with you. 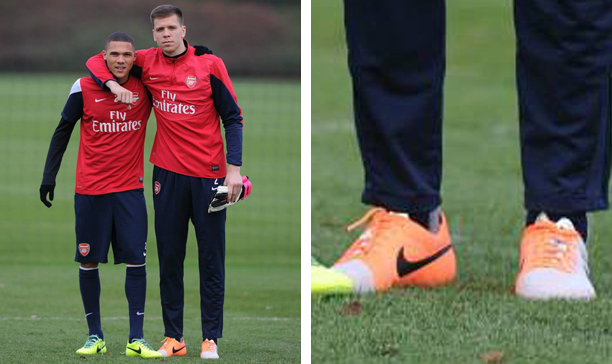 While we will be unveiling the Nike Tiempo Legend V later this week (on Thursday to be exact), Wojeich Szczesny has let the cat out of the bag and wore the boot in training prior to Arsenal’s match against Everton on the weekend. While ‘heritage’ boots are normally released in conservative launch colourways, it seems the new fad is to launch bright launch colourways to make sure people know about the boot (just take a look at the launch colourways of the adiPure 11Pro and Puma King). While we cannot go into the specs of the boot until Thursday, rest assured, there is a fair bit to be excited about when it comes to the Tiempo Legend V.
You’re right! Thanks, we made that change. 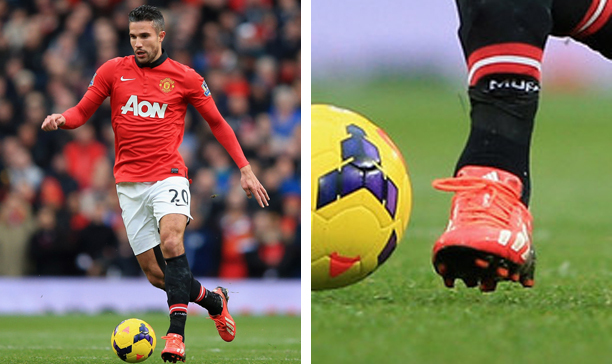 Van Persie doesn’t play for Arsenal.. Thanks. I made that switch. Wow that was a howler of an error there. Thanks for pointing that out Oliver! oliverjackcoultas Thanks. We have made that edit. oliverjackcoultas We have made that change. Thanks. oliverjackcoultas Thanks. We made that change.